A monthly summary of market trends for milk price, feed cost, and income over feed cost. 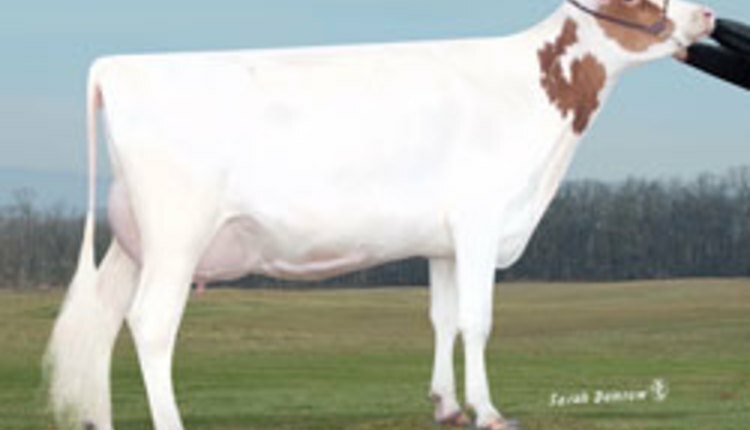 The Penn State Dairy Outlook Newsletter is back after a brief hiatus. Many thanks to our colleague Dr. Jim Dunn for the years of insightful perspectives and experience as he authored the Dairy Outlook Newsletter. There is a slightly new look to the outlook. Each month there will be a table for both income over feed cost (IOFC) (all milk income, feed cost, IOFC) on a $/milk cow/day scale and the milk margin on a $/cwt for lactating cows scale. Feed cost calculations include corn, alfalfa hay, and soybean meal equivalents for 75 lbs. of milk production (Bailey & Ishler, 2007). Previous outlooks were based on 65 lbs of milk production, however, current production when adjusted to milk cows (based on DHI average 86% in milk) is closer to 75 lbs than 65 lbs (DRMS, 2017). The current and subsequent months values are estimated based on the non-linear Forecast.ets function within Excel (Microsoft, 2016), and are highlighted in blue. A column for IOFC and milk margin breakeven over a perspective of what 50 PA dairy operations realized for the last three years (Beck, Ishler, Goodling, 2017). In addition to the tables, PA Milk Income, IOFC and the PA 3 year average IOFC actual breakeven are graphed for visual interpretation. Dashed lines represent predicted values. The graphed 95% confidence interval range demonstrates the potential range going forward. These values are predictions based on available historical data. A second graph outlining a 24 month (12 mo. actual, 12 mo. predicted) for Class III, Class IV, and Eastern PA Mailbox price (Gould, 2017) provides a sense of market movement. None of the dairy market’s leading indicators are signaling much improvement in price. Futures are moving sideways with little prospect for change. The dairy industry in the United States is expected to produce 217 billion lbs of milk this year, a new record for milk production. In fact, over the past 5 years, we have set a new record for milk production each year. Cow numbers in the United States are at a record high for recent years at 9.4 million. Production / cow has increased between 2 and 3 % year over year. Dairy exports have clawed their way from 13 to 14 % of production year over year. While the U.S. dollar has shown some slight weakening in late summer against the currencies of our main trading partners, the future expectations are for the dollar to remain strong and to significantly strengthen against foreign currencies over the next 5 years. If the Federal Reserve raises the interest rate at its December open market committee meeting, the dollar will strengthen further. This could add headwinds to increased dairy exports heading into the first part of 2018. Of course, the dairy export picture, indeed, the entire agricultural commodity export picture, is somewhat clouded by several significant bi-lateral and multi-lateral trade agreements currently being renegotiated. Cheese and powder inventories in the United States are at historically high levels. In fact, total cheese stocks in the United States are three times what they were 30 years ago in 1987! So, dairy product inventories will be a depressing factor on price for some time to come. Of course, butter is being celebrated as the current star of the dairy industry. Americans are consuming 20% more butter per person than they did in the year 2000. This domestic butter demand has rightfully been given credit for helping to support the US milk price through these times of low exports, slumping Class I use, and increasing milk production. However, as some of the other main dairy exporting areas of the world increase their production for the rest of 2017 and into 2018, more milkfat will be available for churns worldwide. After a year of production losses in Australia, Argentina, New Zealand and the European Union, both Argentina and the European Union have started to once again increase their milk output. Since these countries, along with the United States, are the main dairy exporting countries in the world, any increase in their milk supply is usually seen as a negative factor for increased dairy product exports and increased US milk prices. As you can see by the accompanying charts, the lone bright spot for the dairy industry in Pennsylvania this year has been an increasing milk margin. Using September’s numbers, the milk price only improved 3.7% year over year, but the margin improved 9% year over year. Obviously, this improvement in margin was due to slumping feed prices. Because there is very little upside potential in the milk price going forward, it will be critical for dairy producers to protect their margin by limiting any upside risk to feed prices. USDA just came out with a report on this year’s US grain crops that added to what the market expected. This pushed the already low grain prices slightly lower. The United States has had 3 years in a row of record corn and soybean crops, and our soybean crop this year will set a new record for total production, due to the acres planted to soybeans. In fact, the acres of soybeans planted in our nation this year is very close to equaling the acres of corn planted. Over the past 10 years, our soybean acres have increased 38% as crop producers have shifted acres away from wheat, cotton, hay and recently, corn. However, even with a new record crop of soybeans, the demand for beans for domestic crush and export is expected to also set new records. So producers should not let a large bean crop lull them into a false sense of security on price. Remember, the protection of the milk margin is key to profitability in these times. In 2017, as we recover from the low prices of 2015 and the low margins of 2015 and 2016, Pennsylvania’s dairy industry seems to be separating into two groups. The first group are dairies where costs are being controlled successfully, a profitable margin is being made and that profit is being held to return some liquidity to the farm operation, or used to expand. These farms are seeing opportunities for expansion because they have ruthlessly controlled costs and believe that they can obtain an increased profit by building their dairy enterprise. The other groups of dairies in Pennsylvania have not been able to control costs, and even with low grain prices, they are not rebuilding liquidity. These operations, after burning through their equity during 2015 and 2016, are not able to rebuild equity in a way that would make lenders comfortable with extending additional credit to them for expansion. In some ways, as the industry bifurcates along successful cost control and maintaining margin, it seems like we are living through a watershed moment in our state’s industry. Just how big a change these times will make on our industry remains to be seen, but the potential for significant restructuring of our state’s industry seems great. ² The 3 year average actual IOFC breakeven in Pennsylvania from 2014-2016 was $8.97 ± $1.76 ($/milk cow/day) (Beck, Ishler, Goodling, 2017). ² The 3 year average actual Milk Margin breakeven in Pennsylvania from 2014-2016 was $12.41 ± $2.38 ($/cwt) (Beck, Ishler, Goodling, 2017). * Predicted values based on Class III and Class IV futures regression (Gould, 2017). To look at feed costs and estimated income over feed costs at varying production levels by zip code, check out the Penn State Extension Dairy Teams Dairy Cents or DairyCents Pro apps today. Soybean Meal: Feed Price List (Ishler, 2017) and average of Decatour, Illinois Rail & Truck Soybean Meal, High Protein prices, National Feedstuffs (Gould, 2017). Bailey, K. and V. Ishler. “ Tracking Milk Prices and Feed Costs”. Penn State Extension Publication #UA443. 7/3/2007. Beck, T.J., Ishler, V.A., & Goodling, R. C. 2017. 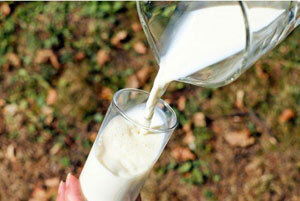 “Dairy Enterprise Crops to Cow to Cash Project,” the Pennsylvania State University. Unpublished raw data. Dairy Records Management Systems. “DairyMetrics Online Data Report system”. Accessed 9/14/2017. Gould, B. 2017. “Predicted Mailbox Prices (Eastern Pennsylvania”). Understanding Dairy Markets website. University of Wisconsin-Madison. Accessed 9/5/2017. Gould, B. 2017. “National Feedstuffs: Soybean Meal, High Protein”. Summary of USDA AMS Grain Reports. Accessed 9/5/2017. Ishler, V. “ DairyCents Mobile App”. Penn State Extension. #App-1010. Ishler, V. “ DairyCents Pro Mobile App”. Penn State Extension. #App-1009. Ishler, V. “Feed Price List”. Personal Communication. Accessed 8/17/2017. Microsoft 2016. “Forecast.ets function”, Office Help Website . USDA NASS, 2017. Agricultural Prices, Quick Stats version 2.0. Accessed 9/5/2017.